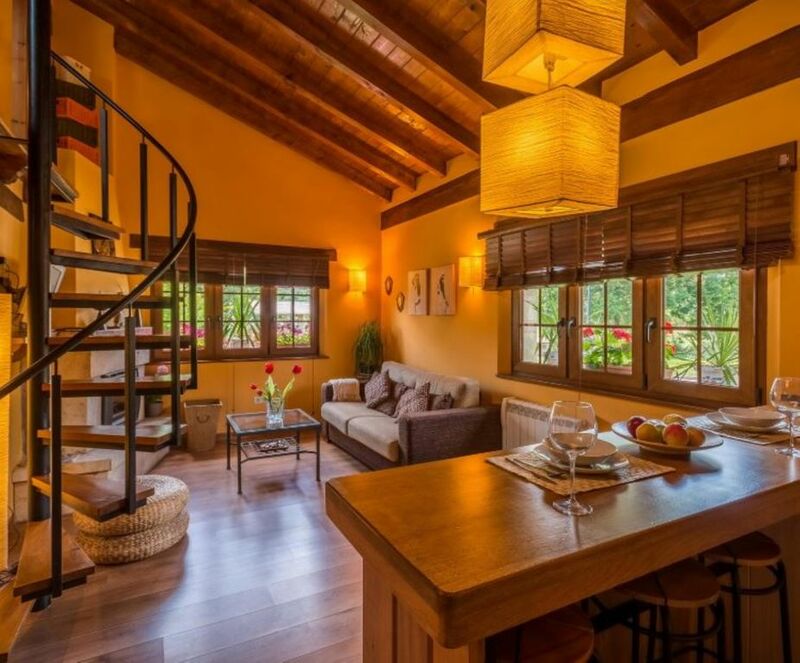 The house in Fontibre, Cantabria, has 2 bedrooms and has capacity for 6 people. The accommodation is fully equipped and charming, and has 100 m2. It is located 2 kms from golf course, 5 kms from supermarket and 173 kms from airport and in a quiet neighborhood rural. The accommodation is equipped with bathroom with shower, kitchen, washing Machine, refrigerator, microwave, juicer, dish washer, coffee maker, dining room, heating, TV, linen - bed sheets, indoorfireplace, cable - satelite TV and board games.